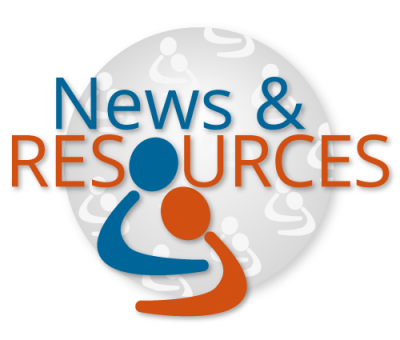 Welcome to the NYC Elder Abuse Center’s (NYCEAC) February 2015 roundup of the latest in elder justice news & resources. We’ve selected and analyzed the most helpful articles and resources relevant to elder justice professionals. If you would like to share a news item or resource with us, please contact us at info@nyceac.org or via our Twitter, Facebook, or LinkedIn. 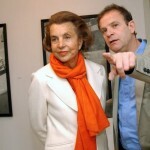 92 year old Liliane Bettencourt’s elder abuse case was recently featured in the NY Times. Her staff advocated for her and provided court testimony. This case shares similarities with the Brooke Astor case recently featured on our blog. A bill in Oregon is seeking to strengthen the oversight of Power of Attorneys by requiring additional witnesses to the signing, requiring the agent to maintain accurate and detailed records of how money was spent, and to hold the agent accountable for any misuse of funds. San Mateo County in California produced a play about elder abuse as part of their efforts to raise awareness and understanding about elder abuse. KPAO’s new public access show entitled “Not Dead Yet” is a comedic skit and conversation starring older adults who act, tape, and edit the show. Future plans include adding panel of older adults who discuss issues such as loneliness and elder abuse. On Friday, February 13, 2015, Rep. Peter King (R-NY) introduced the Elder Justice Reauthorization Act of 2015, H.R. 988. The bill would reauthorize the Act for five years. NYCAC’s Executive and Medical Directors, Risa Breckman, LCSW and Mark Lachs, MD, MPH co authored a recent article published in The Gerontologist with Karl Pillemer, PhD, Marie-Therese Connolly, JD and Nathan Spreng, PhD. The piece highlights three key focus for the upcoming White House Conference on Aging including 1) advancements in research to increase the knowledge base; 2) services to build a comprehensive network including a focus on training providers; and 3) policy to create a coordinated approach to elder abuse. The Senate Committee on Aging heard from elder justice leaders and family members about combating financial exploitation. Expert witnesses included Philip Marshall, Brooke Astor’s grandson, Judith Shaw, Securities Administrator of Maine and President-Elect of The North American Securities Administrators Association, Kathleen Quinn, Executive Director of The National Adult Protective Services Association, and Page Ulrey, Senior Deputy Prosecuting Attorney, Elder Abuse Team, King County, Washington. The New York State Department of Financial Services has released guidance to financial institutions regarding the reporting of elder financial exploitation. They urge institutions to report cases to Adult Protective Services, adopt red flag protocols, and enhance staff training. The Financial Industry Regulatory Authority (FIRA) on firms and individuals has increased fines for wrongdoing by employees, particularly those guilty of elder exploitation. The study found that cases involving elder abuse resulted in $8 million in fines in 2014, an exceptional increase from the $213,000 in fines from 2013. Pennsylvania House Bill 511 proposes increased penalties for stealing medications from older adults. If passed, the legislation would require a minimum sentence of one year in prison for stealing medication from someone over age sixty, and at least six months if the theft included deception. The South Dakota Senate Retirement Laws committee unanimously passed Senate Bill No. 168 establishing a legislative elder abuse task force. The 15 members will investigate the prevalence of financial, physical and emotional abuse in the state. The Office on Violence Against Women (OVW) has opened the grant solicitation for OVW Fiscal Year 2015 Enhanced Training and Services to End Abuse in Later Life Program. The grant program is designed to provide funds for local communities to develop services for older victims, create or enhance a coordinated community response, and organize training for professionals on elder abuse, neglect and financial exploitation, including domestic violence, dating violence, sexual assault, or stalking against victims who are 50 years of age or older. Applications are due by 11:59 p.m. Eastern Time (E.T.) on March 18, 2015. The Legal Assistance for Victims Grant Program is soliciting proposals for organizations with expertise in providing specialized legal services and representation addressing elder abuse, as well as to individuals who identify as Lesbian, Gay, Bisexual, and/or Transgender (LGBT). Applications are due March 11th. The National Center on Elder Abuse (NCEA) released a new fact sheet on financial exploitation and scams targeting older adults. The fact sheet includes four key questions that should be asked when a report is made that can help to prevent future exploitation. 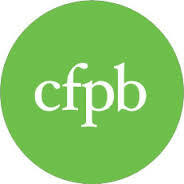 On December 23, 2014, the Consumer Financial Protection Bureau (CFPB) issued a comprehensive proposal to make prepaid accounts safer, more transparent, and help consumers of all ages take control of their financial lives. They are requesting comments about the new proposal by March 23rd. On February 9th the CFPB released its report Snapshot of reverse mortgage complaints December 2011 – 2014 which examines consumer’s complaints, concerns, and misunderstanding surrounding reverse mortgages. The NYC Elder Abuse Center’s Countering Ageism webpage features ageism related information and resources and links to a compilation of additional resources. The annual meeting of the American Geriatrics Society will be held May 15th-17th in National Harbor, MD. Register by April 10th to receive the early bird discount! March for Gender Equality and Women’s rights. In commemoration of the 20-year anniversary of the Beijing Declaration and Platform for Action, International Women’s Day is being held on March 8th from 2:30 – 5:00PM. Click here for more information. The 10th Annual NYC Elder Abuse Conference entitled “Elder Abuse: Promoting Resolution and Resiliency” will be held Wednesday, June 3rd from 8:30AM – 4:00PM at the New School. Stay tuned for more information! JASA is looking for a Social Worker IA as part of their adult protective services work in Queens. Under the direction of a Masters’ level supervisor, this candidate will be responsible for the provision of crisis intervention, protective services and social casework on a voluntary or involuntary basis to a caseload of mentally and physically impaired, abused, and/or neglected older clients.